By using our free car loan calculator located below, you can easily figure out your monthly car payments. If you have any questions please don’t hesitate to contact our financing department. 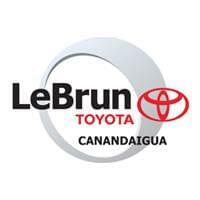 We look forward to helping you into your next vehicle at LeBrun Toyota!